Whether you realize it or not, your beard does get dirty and requires proper maintenance and grooming. 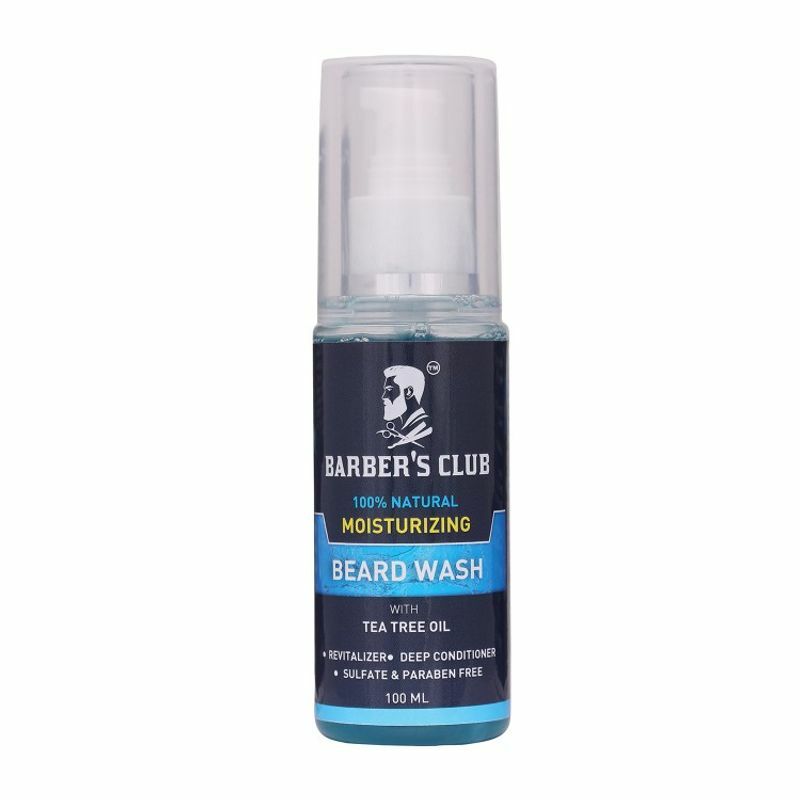 This Beard Wash with Tea Tree Oil by Barber's Club will not only help you combat the itching but will also provide a groomed beard. It actively removes any build up of dust, dead skin, bacteria and germs. Prepared with organic oils and nutrients, the beard wash stimulates beard growth and moisturizes your beard in a better way. It is sulphate and paraben free and eliminates beardruff and itching. The beard wash is 100% natural and organic and is preferred to be used daily for complete hygiene. Additional Information: Barber's Club offers a wide range of grooming products and tools that are important for trendsetting men. With an aim to build confidence through grooming, Barber's Club wants to educate amen inspiring them to take care of themselves better. Barber's Club men's beard and skin care products are made from choicest natural ingredients to ensure the bearded men that his face mane is healthier, soft and smells flawless. Explore the entire range of Beard & Moustache Care available on Nykaa. Shop more Barber's Club products here.You can browse through the complete world of Barber's Club Beard & Moustache Care .